I’ve always enjoyed fishing by myself because sometimes it’s just more enjoyable to fish in silence with nothing but the creek talking in the background. You have first choice on pools and river stretches, and every fish in the creek is your’s for the taking. There are times, however, when the experience is enhanced by a buddy. For me, that buddy was my dog, Moose. 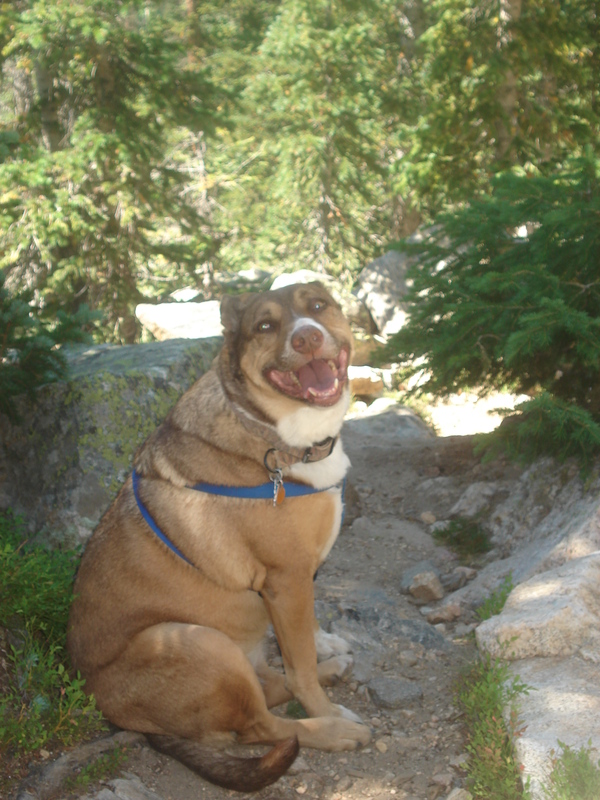 She was an Australian shepherd and blue heeler mix that loved life more than most, and she was by my side on nearly every fishing trip and backcountry excursion. I could get my fly rod out and she knew it was time to head to the river. Her excitement was expressed by spinning in a frenzy and crying, but as soon as the front door opened it was a full out sprint to the truck where she rightfully took her seat in the front. She would spend the next two hours looking out the window with more excitement than a child on Christmas morning. The trip always ended with some turn down a dirt road that led up a mountain. She loved camping probably more than I do. In our campground, she knew every tree, squirrel, and trail, and would always lead the way down to the river to my favorite fishing spots. She would find a grassy spot to lay down and soak up the sun while watching me fish. It was as if she had a sixth sense about the river because she knew exactly when it was time to move. She always led the way. The day would always end by the campfire. Countless nights she fell asleep at my feet with a smile on her face. I usually had to carry her into the tent because she exhausted herself chasing squirrels and exploring the river. Moose battled cancer earlier this year and ultimately lost. 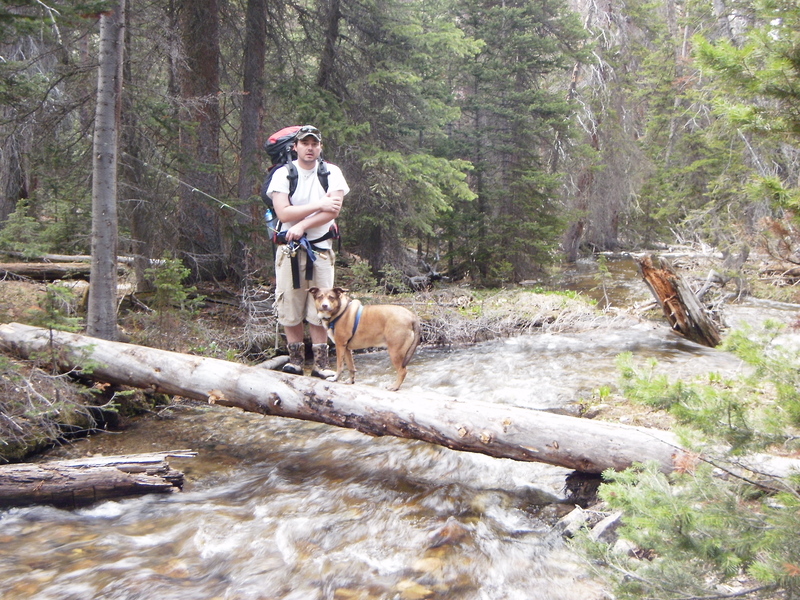 She stood by my side for 10 amazing years and hiked every mile with me over that time. I have so many incredible memories from spending countless days in the backcountry by campfires after chasing high mountain brook trout to being stalked by mountain lions in canyons to long naps in the summer sun in a meadow after scouting for elk. 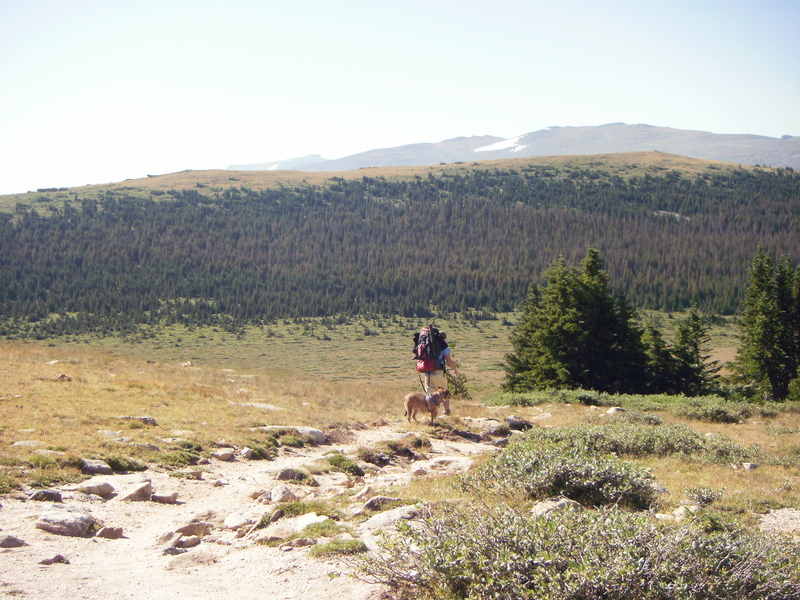 I once jumped into a frozen lake at an elevation of 10,200 feet to pull her out after she had fallen through the ice, and even after all that, she still walked by my side across that lake and out of the wilderness area. She lived a life of adventure and outdoors that would make most people jealous. Whenever we were on the trail she had a particular smile that only came out when we were in the mountains. What amazes me most is that I have never known a dog to have touched every person who met her. She had such a kind spirit and loyalty that I have no doubt that she would have laid down her life for mine if it were asked of her. I never felt more at peace or happy than when I was by her side on a river.